Sometimes, life can be hectic and pull you in a million different directions. And if you are not a car guru, car maintenance can be over looked or forgotten about. We here at CNM Auto Repair understand life’s challenges and can assist in making sure that wherever life takes you, you will be ready! Here are the Top 10 maintenance items that get ignored, but should not! At times the check engine light can illuminate for what appears, no reason at all. If you are not prepared for your vehicle to be inspected or forget that it came on when you’re finished your day’s journey, you could be driving with a possible engine issue. When that light comes on and if it is ignored, engine issues can quickly become larger and more expensive to fix. An easy solution for this is to make an appointment at CNM Auto Repair and have the ASE-certified professionals take a quick look at your ride. When you turn on your car, the engine that powers it becomes extremely hot. If your vehicle’s cooling system fails, it can become overheated. If your car does become overheated, you should stop immediately and turn the car off. What are the signs of an overheating engine? Steam pouring out of the hood, odd smells from the engine and the needle displayed on the dashboard’s temperature gauge is rising are all signs of an overheated engine. The cooling system prevents corrosion and is crucial in keeping the engine from overheating. A cooling system that hasn’t been maintained can’t perform its duty and protect the engine parts from corrosion. To keep the cooling system in tip-top shape, make sure you have the proper level of coolant/antifreeze in the Fall and Spring and replace the coolant/antifreeze when it turns old. How often do you check your tires? As long as they don’t appear to be flat, they are fine, right? Although, it is nearly impossible to accurately gauge your car’s tire pressure from looks alone, even when tires appear properly inflated, air pressure may still be high or low. Improperly inflated tires can decrease fuel economy. It’s easy to forget about having your tires rotated, just as easy is it to forget to make sure that they are properly filled with the correct air pressure. Misaligned tires can cause multiple issues, such as uneven treads and can cause them to become bald. An easy reminder is to have your tires rotated and aligned when you are getting your oil changed, or in for your yearly inspection. To help increase and maximize the life of your engine, changing your car’s oil is key. To be effective, motor oil should be replaced since age can cause the oil to break down. 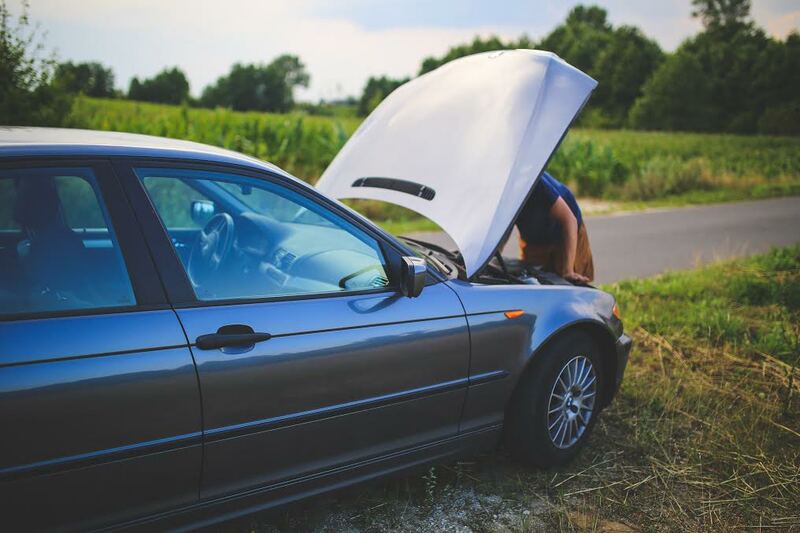 This breakdown can lead to sludge deposits in your engine and as a result, can damage parts. Depending on the recommendations of your vehicle’s manufacturer, oil changes should occur every 3,000 or 5,000 miles. Besides motor oil, there are several other fluids that should be checked on and replaced when needed. Brake fluid, transmission fluid, engine coolant, and power steering fluid should all be checked and serviced as recommended by your vehicle’s manufacturer. By topping off the fluids or replacing the liquid, you can avoid leaks and keep your vehicle operating properly. The engine might power the car but brakes are needed for that vehicle to stop. Brakes and brake pads need to be replaced over time due to use. If you hear a squealing or grinding noise when you brake, have your brake system evaluated as soon as possible. Ever notice streaks on your windshield? Those are caused when windshields need to be replaced. Precipitation like heavy rain and snow can limit your ability to see clearly on the roads, but when you have streaky windows, that ability can be further diminished. Sometimes it is best to leave it to the professionals when you are not sure of exactly what you are doing. Trying to fix a car on your own without prior experience can bear frustrating and dangerous results if not done correctly. Leave your vehicle’s maintenance in the trusted hands of CNM Auto Repair. We can make sure that your car or truck is up-to-date on its maintenance and is ready to take you wherever you may find yourself in life. But don’t just take our word on it. Here is a review from Ken on Google!